If your business wants to create more effective marketing campaigns for your target audience, then you will need to create content that connects with your audience. You can do this by hiring a freelance copywriter to help your business grow. Your content needs to be relevant to current events and planned around a central theme for a cohesive structure. A content calendar allows your business to structure your content around topics and plan publishing dates in advance. Instead of relying on last-minute “Hail Mary” production cycles, your company can produce better content designed with a content marketing calendar. A content calendar allows your business to structure your content around topics and plan publishing dates in advance. Instead of relying on last-minute “Hail Mary” production cycles, your company can produce better content designed with a content marketing calendar. A content calendar also helps you plan resources to accomplish your content goals. You are not going to get much attention if you do not publish quality content consistently. Blogging once a month is not going to cut it, and a content marketing calendar provides foresight for you and your marketing team to plan content around other events in your business. Once your business implements a content calendar, you will see that it will provide visual direction on the needs and abilities of your marketing strategy. While maintaining your marketing calendar takes some effort, the calendar will serve as a mental model for your entire marketing strategy! Once your business integrates a culture that revolves around your audience then you will be able to attract, retain, and convert more customers. A content calendar is just one tool at your disposal that helps you focus on the needs of your clients and build value for your prospects. While working with Orlando small business owners, I found that many companies want to build elaborate content marketing calendars with tedious details about each piece of content and intricate content mapping. 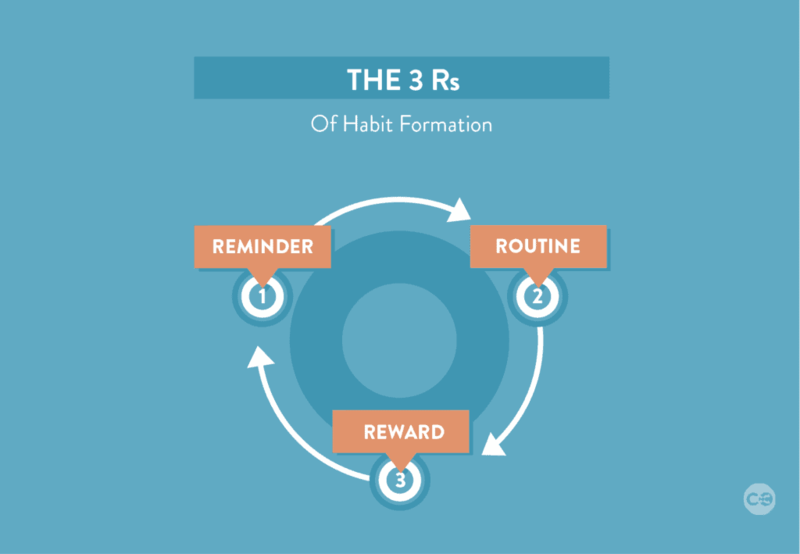 Establish a core on the areas that you feel most confident participating and then work your way into more elaborate systems once your content calendar becomes a habit. The worst thing that you can do is to invest time and resources to create a detailed content calendar and then stop using it. That not only puts you back to square one, but you also would waste valuable resources on a failed attempt at a content marketing calendar. Your content calendar should be easy to read, and simple to follow. The best editorial calendar should contain all the essential information for you and your marketing team to execute your digital marketing strategy. The easiest way to do this to have a spreadsheet with different tabs for each month, and each tab layout tasks for each writer, social media platform, and website development. A cohesive editorial calendar will help your business align your online marketing channels with your business goals. 1. What Is A Content Calendar? The only way to get found online and build trust with your audiences to consistently produce valuable content. As your online marketing efforts grow, you will need a strategy to ensure the impact and track the effectiveness of your content. Whether you are looking to grow our SEO marketing presence or drive more qualified traffic through social media and PPC marketing then you need to make sure that you are using your time and resources in the most effective way possible. If you are like most companies in you know that you need to have a plan to research, create an optimize your content. However, this process can be difficult if you are not planning content around the business needs or your market trends. A content calendar is a tool that will help you organize your marketing efforts and focus your time and resources to maximize returns. By creating a simple calendar for your entire marketing efforts, you will be able to help coordinate content across sales pages, blog posts, social media, and other content that you want to create. A content calendar is a powerful tool that can help you boost your online marketing efforts, and this is a missing link in your business, and if you are struggling to make great content for your customers, then consider starting a content calendar today! 2. What Are The Benefits Of A Content Calendar? Whether you are an entrepreneur or working with a small team, or the Director of a large marketing department, you need to have a way to ensure that you’re maximizing your time and resources. A content calendar is the best way to coordinate all aspects of your marketing efforts. This tool is essential if you want to start working proactively for your business. No matter the size of your company you need to think about how you are creating, optimizing and publishing your content to drive more qualified traffic to your site. Instead of reacting and worrying about missing important dates, you will experience instant success if you create and follow a content calendar. Here are some of the benefits that you will see. A single source for keeping track of status updates across different channels. This means that you and your team will know exactly what is coming up for your marketing plan. A way to track your content production team direction and branding. Having a consistent online voice will help you grow your brand. Anticipates seasonal trends or other events to maximize your content effectiveness. You can plan your content and drive revenue for upcoming trends, whether it be seasonality or customer behavior. No matter the size of your business, you will benefit from implementing a content calendar today! With a simple template, you will be able to plan your entire month in only a few hours while also coordinating time and resources across your entire company! 3. What Is The Goal Of A Content Calendar? A content calendar is a shareable resource to help coordinate all members of your marketing team and make your SEO marketing strategy stronger than ever before. Even if you work alone or with a small team, then a content calendar is even more important because it can help you use your limited time and resources more effectively. The goal of a content calendar is to provide oversight for your small business marketing strategy and help you visualize how different types of content and channels will work together. Taking an intentional approach to your content marketing efforts means that you can get more done with less time and resources! No matter the type of content calendar you use, a content calendar will help your business or organization reach the next level of effectiveness and drive your success. A content calendar can help you visualize your strategy and allows your team to look into the future and plan how to use your time and resources. The goal of your content calendar is to help streamline your marketing efforts by providing the direction your team needs to be as efficient as possible. In general, the further you plan your digital marketing content, the better your content will be and the more consistent you will publish that content. Working with a content calendar today to be more proactive in your content marketing. Building a content calendar from scratch is one thing that intimidates many marketers and business owners. However, you can build a content calendar in three easy steps. Identify your topics and audience. Defining the different audience types will help you create content that speaks to the needs of that group. Identify the best type of content for your consumers, and then use the content calendar to divide production across your team. Take stock of your content assets. If you have been in business for any length of time, then you have data and unused content that you can publish. You can use information like product sales, frequently asked questions and other information to direct your content. Calendar. Scheduled publish and promote content. Once you have a few weeks of content produced, based on the above points, you can begin scheduling and publishing your content. Be sure to include channels that matter to your business based on your goals and how your consumers consume content. Be sure to start working on your content calendar today and to see the benefits of this business marketing tool! If you want to implement a content calendar with a team, then you will need to ensure that everyone understands the importance of using and following the content calendar. A content calendar that doesn’t get used isn’t valuable to your business. Better visibility across projects and campaigns. Everyone knows when each piece is being published and who is responsible for it. The ability to finally get organized. Reduce frustration and lack of productivity. A content calendar can help bring all the pieces together and get your team working as a single unit. Reducing the number of missed deadlines. No one likes missing deadlines and with a content calendar, you can track each piece of content and understand when content is supposed to be published. pending less time planning, and more time executing. Spend less time planning and get organized and save you more time and money as you develop more content for your business. Many businesses lack consistency when it comes to their online marketing strategy. A content calendar is often the missing link between a successful and mediocre business marketing plan. The competition is too fierce, and your customers are too picky to tolerate inconsistent content creation process for your business. The good news is that there are a number of free small business marketing tools that you can use to find and publish great content for your audience. If you are not planning, creating, and promoting high-quality content on a regular basis, then you are losing a competitive advantage in your market. Your competition is doing everything they can to take your customers and put you out of business. If you want your company to succeed, then you need to produce high-quality content on a regular basis. It is easy to forget about content production through the daily grind that your business demands from you. A content marketing calendar is a vital tool to ensure that your business communicates consistently with your customers. Let’s take a look at why an editorial calendar is crucial for the longevity and growth of your business! Creating an editorial calendar is one of the first things I do with my Orlando business clients when we begin working on a comprehensive digital marketing strategy. Not only does a content calendar help content creators anticipate upcoming events, but this content calendar also helps multiple departments coordinate their efforts to improve quality and consistency. 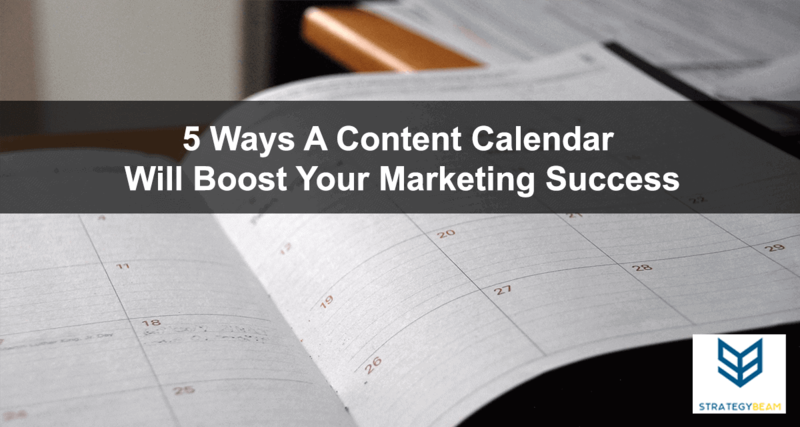 Content marketing calendars also help you amplify your content because you can find ways to connect the content throughout your marketing plans. A content calendar helps you understand content mapping on a whole new level, and after some time you can find patterns on how your users consume your content. This aspect of a content marketing calendar allows you to find trends within your audience. In turn, you can optimize your Internet marketing services while also building more value within your business. Many times marketing teams can get blinded because they only think about their content on a day-to-day or weekly basis. While this type of hands-on perspective is needed to produce content, your marketing team also needs to have a top-down view of your marketing tactics. This kind of heads-up foresight can come with an editorial calendar. Write down a plan when creating content to ensure the value and quality of your content. Here are the top three benefits of using an editorial calendar. Look at your business and marketing tactics from a 10,000-foot view helps your entire team see the big picture. A content marketing calendar helps you see patterns and potential series that you can build the connect your content together. Your content calendar also helps ensure consistency throughout your content because your planning stages will produce higher quality content and reduce the upfront effort required for your marketing team. It’s easy to get lost in the details during the content creation process, so having a larger vision that incorporates various marketing channels helps bring everyone’s work into context. If your business is looking to lead your industry, then you need to produce the best content on the Internet. A few years ago you would have been able to cheat the system to reach the top rankings on Google and other search engines. But that’s not the case today. Your customers demand the best content, and a content calendar will help you research and understand their needs. You can use an editorial calendar to help you identify potential topics based on your user personas and customer research. Once you find good ideas for content, you and your marketing team will have ample time to create excellent content that is relevant and valuable for your customers. This content will answer questions, address concerns, and inform your audience about your products and services. After your content is created, your content marketing calendar can show you what social media networks and other sites you will share your content on. This helps your social media team evaluate how best to share your content and keep a consistent message. Finally, an editorial calendar will help you optimize your content as you continue to promote within your communities and amplify your efforts. Since SEO is a user-based strategy, you always need to keep your thumb on the pulse of your customers. A content calendar ensures that the voice of your client is heard and that your entire company plans content around their needs. Your business runs at a fast pace, and you have hundreds of things to do. It can be a struggle for business owners to prioritize their time and a content calendar can help your marketing strategy publish content consistently. Along with publishing content on a constant calendar, a content marketing calendar can also help improve the quality of your content. Waiting until the last second to write a blog post or create an infographic can leave your content riddled with grammatical errors and other imperfections. These mistakes, if repeated often, can have an adverse impact on your brand. A content calendar provides you with a peek into the future so you can plan your content and allocate necessary time to publish high-quality content consistently. On your editorial calendar, you can write down ideas and slot posts by the day or week. Once the schedule is drafted, you can begin writing blog posts and other content to give yourself time to review before publishing. Perhaps further research will be necessary for some blog posts. Now that you have a content calendar, you will be able to add that information without having to skimp out on the quality or consistency of your content production. What Are The Best Tools For A Content Calendar? If you want to get your online marketing strategy to a new level, then you need to implement a content calendar to organize and direct your marketing efforts. There are several approaches that you can take to build a content marketing calendar. A spreadsheet. This approach is the least sophisticated, but it’s also the most versatile choice. If you are starting to integrate a content calendar into your marketing strategy than starting with a simple spreadsheet on google drive can be the best option. WordPress plugin. If you have a website or blog running on WordPress, then you can use a plugin to help your entire team. The WordPress plugins can be beneficial because they integrate into software that you are already using. A web-based App software tool can be easier to use for larger marketing plans, but each software solution requires different amounts of time to get used to. Choose the best option to build a content calendar based on the size of your business team needs and overall marketing strategy today. Build A Better Marketing Strategy Today! If you want to grow your business, reduce costs, and improve efficiency for your marketing team then you need to implement a content calendar. Take a look at some basic templates and find the approach that works best for your business and help your marketing team drive more sales today! If your business is serious about becoming an authority in your market, then you need to produce great content on a consistent basis. You can’t rely on last-minute content production to get you to the level that you need to be at. A content marketing calendar is a vital tool to help your business achieve the type of online presence you need to have to be successful in today’s market. Align your content marketing editorial calendar with your business goals, teams, and deadlines to create great content that your customers will love. Highlight key messages that you want to cover, and focus your content on dates and other events in your market. Your clients will appreciate the level of quality that your content calendar offers them and you will love the conversions and growth of your company over time. If you want to grow your business with proven marketing strategies, then reach out to me, and we can start creating a marketing strategy for your business today!